I’ve been a musician since I was a kid. 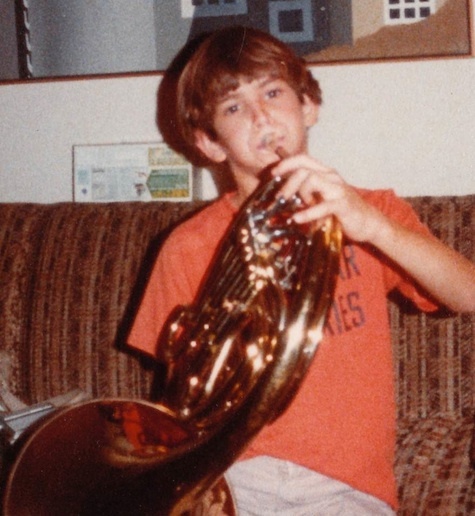 I’ve always loved to sing, and as a boy I played the French horn and piano and harmonica. Although I liked classical music, my real love was folk music. Something about its realness and straightforwardness and passion spoke to me. When I was twenty (on my 20th birthday, in fact!) I took up guitar and started playing—and haven’t stopped. Before I became a therapist I worked for a few years in New York City as a children’s musician. I played at festivals, birthday parties, in schools, at libraries, at arts centers, and at museums. For a while I was even a DJ of a children’s show on a pirate radio station (Steal This Radio, 88.7 FM) in Manhattan’s East Village. I’ve also played as a street musician in countries all around the world—on my travels. I wrote the songs in my albums (on the right) over a period of many years. Many I wrote in the 1990s. They are about introspection, breaking from the family system, emotional growth, confusion, passion, truth, the inner journey, becoming one’s own person, the horror we’re perpetrating on our planet, childhood, and healing from childhood trauma. And my final album, Songs from the Locked Ward, is entirely about the psychiatric system. Here also are two links to music videos I made and put up on Youtube: general music videos & anti-psychiatry music videos. Enjoy! Nice picture. I was born in 1971. I sang in the school choir. My fav 80s bands were Duran Duran, the Cure and Depeche Mode. Mostly alternative artists. Take care. I just watched your six reasons for quitting the psychotherapist profession. Great Truths! I was originally a working musician for a few decades in NYC and due to societal changes and financial need I had to find a new profession. Have been an LMSW for one year and am desperately working on my “C” hours towards the LCSW in NYC. Coming from a relative outsider with a lot of life experience, I have already concluded so much of what you say you quit for. Now I regret all the work, time and money (student loans). I feel like the MSW programs “sell” their programs and leave out or are in denial about the true nature of the broken systems, broken profession, broken society and all the other things you point out. I really enjoy the actual work of helping people though. videos. Thanks for being a caring and compassionate person. You seem to have a real moral and ethical conscience.